I've been working from home for over a decade -- can you believe it? And while it can be tempting to just coast along using the same products you use for your personal life, I've gained mountains of productivity (and increased my earnings) by investing in the kind of products that are going to last the many, many hours I've put them through as a writer, blogger, and editor. 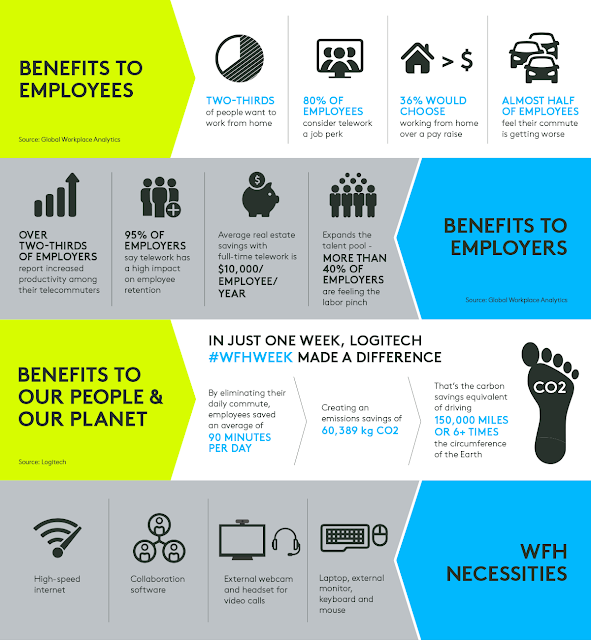 Logitech has partnered with 1099 Mom to celebrate National Work from Home Week (#WFHWeek) for the second year in a row. Logitech is recognizing TODAY -- Wednesday, Oct. 10 -- as its global WFH Day and is encouraging its 3,500 team members and partner companies worldwide to work from home! Celebrating #WFHweek with a cleaned up new office space for doing client work and writing horror! I'm totally in love with the keyboard and mouse, which work via Bluetooth (no more dangly USB cords) and can be used between three devices. Just press the button to indicate 1, 2, or 3, and you can switch between a tablet, laptop, or other device with easy. The mouse is soooo comfy, too! And for all of you who use video chat to work with clients, or do a podcast, the webcam can't be beat in terms of quality. Such sharp video! Pair it with the MX Sound speakers for a room-filling sound experience you can pair with your phone, computer, or any device with Bluetooth or an audio outlet. What’s more, Research from Global Workplace Analytics shows working from home can lead to increased productivity, improved employee morale, higher talent retention rates and more. And last year, #WFHWeek participants saved more than 60,000 kg of CO2 by working from home. Get additional work-at-home tips here. Wanna Win? We are giving away a bundle of Work-from-Home essentials like those we tried out above. 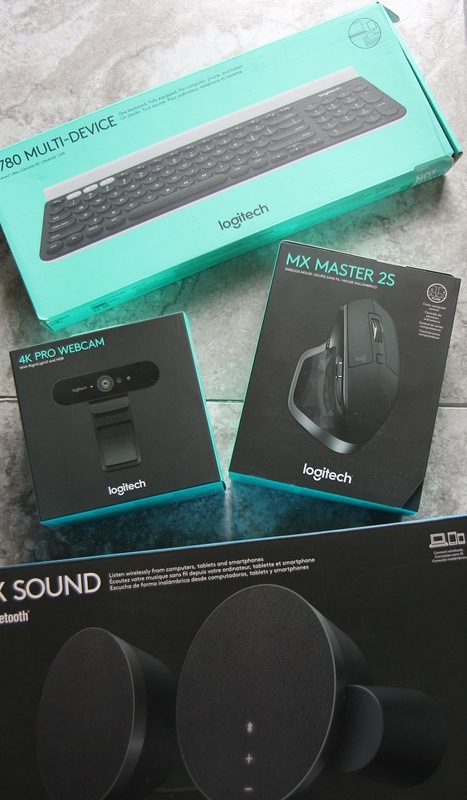 The package, which includes the webcam, keyboard, mouse, speakers, and a Logitech branded coffee tumbler, is valued at $500! Enter to win using the form below by October 20th, 2018 at 11:59 pm EST. Open to U.S. resident 18+ only.